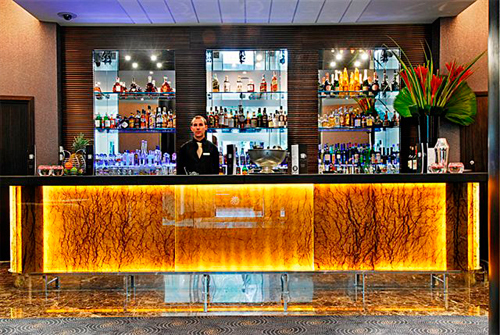 Fine food in luxury surroundings within the heart of London – what could possibly be better? That is exactly what you’ll find if you pay a trip to the Crescent Restaurant and Bar. Located within the five-star Montcalm luxury hotel, this eatery offers an array of breakfast, brunch and lunch options and experiences. Each morning guests can enjoy a beautiful buffet breakfast, or order from the mouth-watering a la carte menu. The latter features classics like eggs benedict, poached eggs, American pancakes, Scottish salmon and smoked haddock. As the clock ticks past noon, the Crescent begins its afternoon tea service. A fantastically British occasion, afternoon tea offers something for everyone. If you’re looking for a slice of luxury why not indulge in a champagne afternoon tea? If you’re visiting as a family you could instead opt for the Teddy’s Tea Time. This popular service sees children in your group go home with a Montcalm teddy bear. Just in case you still need any convincing, the restaurant’s sublime surroundings and superb location should do the trick. Found just off the lobby of The Montcalm hotel, the Crescent gives guests the opportunity to enjoy fine dining in its beautiful, spacious dining room. The four skylights and high ceilings offer perfect lighting for a relaxing breakfast or lunch. After enjoying a bite to eat, guests can then take advantage of the restaurant’s excellent location by heading out into the capital. The Crescent’s Marble Arch position means that you are in the heart of the West End, giving easy access to London’s iconic theatres and renowned shopping. 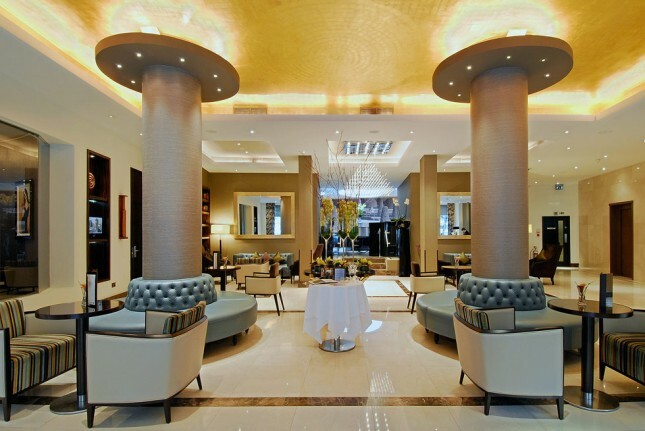 Travel throughout London is also a piece of cake as the Montcalm is found just a stone’s throw away from Marble Arch Tube station. Food is on offer at the Crescent Restaurant and Bar from 6:30am to 10:30am and noon to 4:30pm Monday to Friday, and 7:00am to 11:00am and noon to 4:30pm on Saturdays. On Sunday food is available 7:00am to 11:00am and noon to 9:30pm.